Last night was busy! 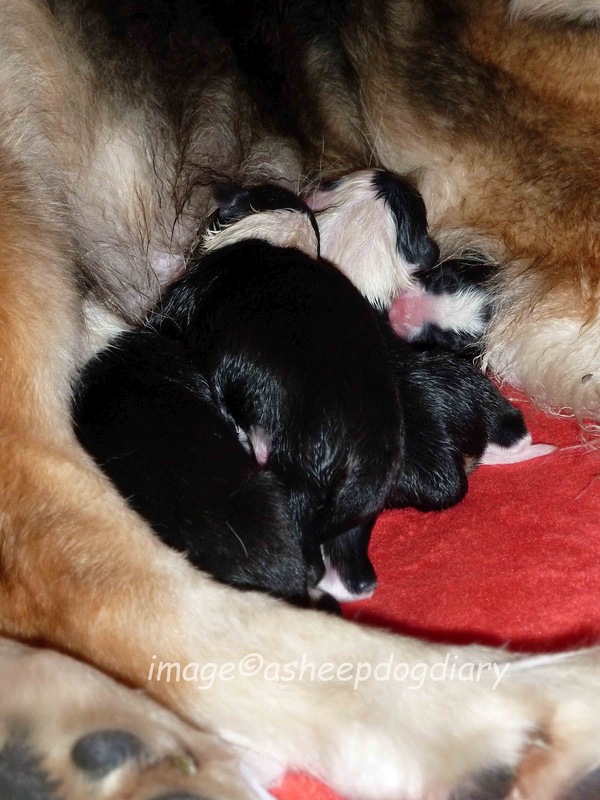 On day 60 of Cafe Latte Girl’s pregnancy, which happened to coincide with the start of the Queen’s Diamond Jubilee celebrations, she decided it was time to start whelping. I was spot on! She whelped day 60 with her first litter, had a feeling she’d be the same this time. Cafe Latte Girl has a lovely, comfortable whelping box, I have a blow up mattress to sleep on beside it, I don’t leave my girl when whelping is imminent. 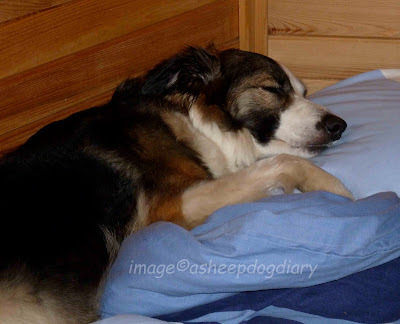 It’s exhausting work for Mum, it’s also tiring for me - sleepless nights, change of eating habits and any routines just go to pot. The big dogs get little look in for a few days, but they’re cool, they cope very well. CLG, despite her lovely whelping box, took rather a shine to my bed ... it took some persuasion that she’d be better whelping in her box where she had room to move around as she needed. Contractions started late evening, but she had quite a while and a bit of hard work to put in before her first pup arrived, not long before midnight. Whelping continued into the early hours of Sunday morning. As soon as the first puppy is born the ‘watching’ begins. Puppy watching is work, it can take a great deal of time up during the course of the puppy’s development, but it is absolutely vital in order to determine the temperament and characteristics of each pup. 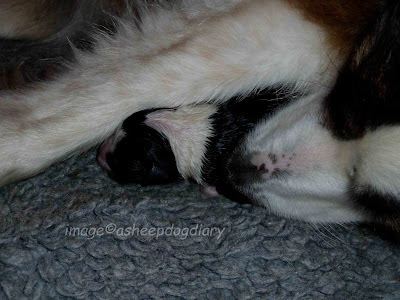 It always amazes me how quickly a new born pup will head towards the milk bar, this is what nose work is all about. 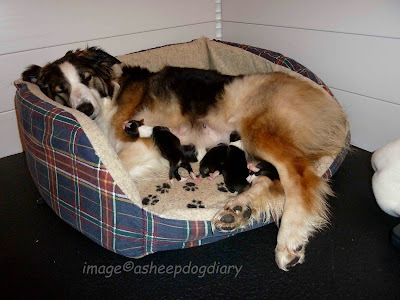 It doesn’t take long for the pups to realise that the easiest milk comes from the back teats, there’s sometimes a bit of a scrum to get there with a large litter! So, the puppies are finally all here. Five girls and one boy. Cafe Latte Girl was large, much bigger than with her first litter. I was sure there would be seven or eight pups, others thought 10 or 11. As it turns out it was just the six, maybe the way she was carrying them this time, or more fluid, who knows. The pups are all fit and healthy, as is their lovely Mum, although she’s very, very tired. Congrats on the new litter. They look super sweet.